I thought you might like an update on the quilt I showed you at the beginning of the week. I've finished the image now and I think I am about half way through the background now. As you can see I've gone with feathers. It's a fun fill and it scales very well to fit in around the main image. I'm not planning to quilt the areas within the image so it should stand out a little bit. 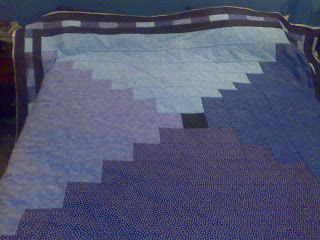 I'll have to see how it sits though when I have the rest of the quilting in place. I have to admit that hasn't gone as fast as my projects usually do. That's because I've been catching up on household jobs too. It may not be everyone's idea of a good holiday but having a week when I didn't have any bookings has been amazing. I've been able to quilt and do the jobs that have been bugging me. Tomorrow though I am back teaching. 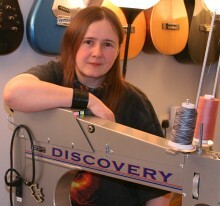 I will be doing beginners machine quilting at Patchwork Corner. It's always an interesting class, and hopefully it will be a gentle reintroduction into working outside the house. I am exhausted, long weekends are hard work. It's been a very productive weekend for me though. The quilt I showed you yesterday is progressing. I'm sure I once heard that small repetitive movements were more tiring than larger movements. Well in the case of longarm quilting it seems to be the case. 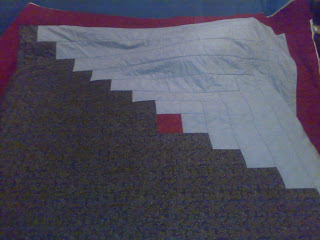 There are a lot of areas of very dense quilting and they are mostly filled in with a zig zag. I can do about 30 minutes of that type of quilting before I have to have a break. It's surprisingly tough on my forearm. I guess it is because the movement is coming from my elbow to get the precision to fill in the areas I want. Ho hum. Still I am thrilled with the effect and I've nearly finished this stage of the project. When it's done I can move on to filling in the background which should be more varied and a lot quicker. I've also managed to get some gardening done, and a washing line up. Both are more impressive than they might sound. I burn very easily so going out during the day in the weather we have had is interesting. It was something of a necessity though as one of our cats decided to throw up on the quilt that is on the bed. It was actually quite funny as I had just watched an episode of "The Quilt Show" where they had been explaining that traditionally quilt were used and when the cat threw up on them they had to be washed (hmm I wonder if that is what gave the cats the idea?). I had just commented I must be a pretty traditional quilter then as I think quilts should be used, then I went into the bedroom and found the mess. Of course it's the only quilt in the house at the moment the rest are in storage ready to do talks. It get better it is one of only two quilt's I own that don't fit in my washing machine. However I had noticed the quilt has got a lot softer and thinner with use (Ginko Typography) so I thought I would give it a try. It now fits, just. It saves a trip to the laundrette which I really don't have time for right now. However I didn't want to put a quilt that heavy straight into the tumble drier on a hot sunny day, that's just daft. So time to get a washing line, or indeed a rotary airer. I found one that claimed to be a complete kit. I assured me I would be able to take it home, install it and put up to 4 loads of washing on it (it even came with pegs). Surprise it worked! The rain held off just long enough to get everything dry too. On the way in with a washing line we noticed the hedge cutting frenzy in the street. Of course we felt obliged to have a go too. The hedge looks great, but we need a new broom. I used it the head fell off, no biggie I put it back on. Tet used it and the handle broke in two! He really doesn't know his own strength. On the other hand as I type he is on the final stages of getting two of my patterns ready to send off to the printer which is very cool. Both of the patterns are designed to use ombre fabrics. One is "Dawn and Dusk". It was the first pattern we produced ourselves. It was a worrying pattern with very slow sales to start with but in hind sight I think that was my lack of marketing skills rather than any problem with the pattern. It's sold out it's first print run, hence the reprint. The other pattern is "Under the Rainbow". This was initially made for Popular Patchwork and I have always told people to contact them for a the back issue to get the pattern. They have sold out of that issue so it's time to produce my own pattern of it. I am really looking forward to them arriving. My short patterns are printed in full colour double sided on one sheet of A3 paper. This is then folded down to an A5 booklet. I like the fact that you can't lose any of the pages as there is only one sheet. It also reduces the possibility of me forgetting to put everything into the bag. Either the sheet is there or there isn't a pattern. Hopefully people using the pattern will enjoy it too. It's no good, I just have to share something I am working on, and well I don't think this will spoil the quilt for everyone. As you can see this is something a bit different for me. It's a bed quilt for a collector so it will only ever be seen at this one show. I would describe it as almost a wholecloth, and it is definitely an evolution of the things I have been doing in my wholecloths. 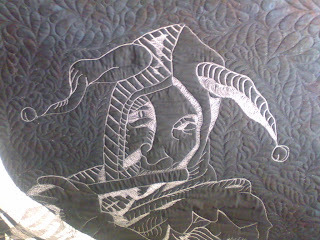 In this quilt I am trying (and so far succeeding) to make the quilting an image rather than a pattern. It's slightly nerve wracking as I can't really see the image as I work. This is a problem I run into a lot. The human eye isn't good at seeing the whole picture when it is this close to so large a work. Also the stitches are very dense in some areas which requires focusing there for quite some time. I find after doing that my brain makes that area look out of proportion. I know it is an optical illusion but it doesn't help me see how the image is working. On the other hand I am really enjoying having large blocks of time to spend on one of my quilts. I've had two days of preparatory work for this quilt. Drafting the patterns and preparing the top. 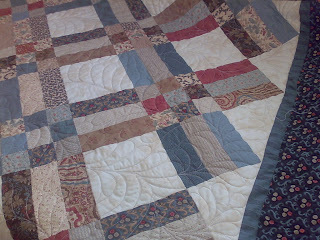 Now I am getting to quilt it is a wonderful feeling. I really love this very free but artistic type of work, even when (or perhaps especially when) it throws up lots of challenges. You may have realised that I am working from the middle of the quilt outwards. On a longarm this makes things a lot more tricky and time consuming, but I need to be able to fit the rest of the quilting around this image so I have to start by getting this into place. There is also the small matter that I haven't entirely decided what the rest of the quilting will be, so this gives the quilt a chance to talk to me. You're probably aware that I don't make samples of techniques. I try thing straight on a real quilt (often a show quilt as it's the only time I have to play on my own work) and if it works, great if not I have to start again. Well this is almost a sample even though it is also a live show quilt. It is allowing me to try out a technique I will be using in a much more complex and time consuming piece. From what I've seen so far I am happy that the second quilt (from the graphic novel Cancertown) will work out very well. So much so I am thinking of using it on another quilt as well, which I had completely different plans for before today. The fact that it looks like this piece is going to be so important in my future works yet will only be seen once at the festival made it the obvious choice to put on my blog. I really am missing being able to share all my quilts as I work on them, but I think it will be worth it in the end. I can finally reveal speed quilt 3. I had thought it launched 4th July but apparently not. I will be teaching it for the first time on the 6th June. That may not seem like a big difference but with my schedule it's a huge issue. Fortunately speed quilts live up to their name. I think this quilt (about 95" square) took me 8 hours including cutting. It hasn't been bound yet, or indeed trimmed. I don't have the space to trim it sensibly here so I will wait to take it to the shop, at which point it will go straight into service as a sample. I guess it will join the queue waiting to be bound. 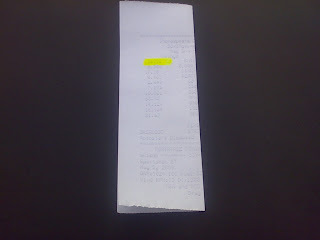 Over the weekend I also tried to buy a car stereo. It was a very frustrating experience. What I am looking for is something that can play mp3 tracks from a USB device and that gives me a sensible way to access the track I want. As I can have 2000+ tracks I don't want the only navigation to be next and previous track. I've lost track of how many people have said it will work if I buy an ipod. I have no issue with being able to connect one to a stereo but I don't feel it should be essential. Heck my mobile phone has a better user interface for the mp3 player than these supposedly dedicated devices. It was also sad how little shop staff knew about the products they were selling. On the whole I got the impression each one knew a little about one or two systems. I guess that is to be expected in Halfords but in dedecated car audio shops I do expect better. I was shocked by how maany staff expected to tell me what I want (without asking any questions) and have me hand over the money without even seeing the system. Sorry but that isn't going to happen. I could buy on the internet and have better service. Having said all that you might not be surprised to hear that most of the car audio specialists in the area have closed down. Yes I am looking on this as lessons in how not to sell. Some quilts you have to see. If you haven't heard of Izabella Baykova you've missed out on some fantastic quilts. Bonnie McCaffery sent out this information in her latest newsletter. Grab a coffee and enjoy. Izabella's quilts are filled with meaning. Go to http://www.bonniemccaffery.com to see the latest VidCast. As a bonus we have also included a Russian version of the interview with Izabella - so if you have any Russian friends, feel free to pass the link on to them (http://www.bonniemccaffery.com/vidcasts/034r.html). To take a look at Izabella's website (which is in Russian) you can go to http://babelfish.yahoo.com/. In the URL space add this link http://www.siniygranat.ru/ and then select "Russian to English" translation. You'll see lots more of her beautiful quilts. If you ever get a chance to see these quilts in person do take it. They are far more striking in real life. I love the way the seem to glow. Well it's finally happened. Cancertown is a real, hold it in your hand book, and I have my copy. You will probably remember me talking about this graphic novel that has been written by a friend from university. This weekend I was lucky to have the chance to be at it's launch at the Bristol Small Press Expo, and help introduce people to it. As ever at these events I learned a lot, a large part of which I can use in what I do. I think the tow most obvious to me were how much easier it is to toot someone else's horn and how great it is to have a prop when doing it. I guess it does help when the book looks and feels good. The printing and binding are really nicely done. I am hoping the printer who did it will be able to give me a good price on doing my book so I can have him do them. So the third thing is, do your best on every job, you never know who will see it or what business they might send your way. I've been surprised at each comics event how similar it is to the quilting industry. Even going in knowing that it still catches me out. This weekends revelation is that the comics industry is starting to struggle with it's wholesale system. 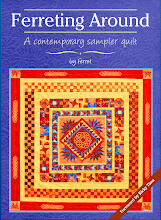 Like quilting wholesalers send out a catalog listing new products. 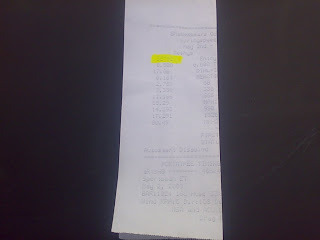 It has a tiny picture and a few lines of text. I had already realised this is useless for evaluating a new product and pretty hit and miss when you know exactly what you are looking for. When I try and select the right pins from one of these books, it can take me an hour to get the right code for what I wanted and I know exactly what I am looking for. Imagine using that system to sell a book or a pattern. A picture may an inch square just doesn't work. This lead to several people trying to come up with some better ideas for selling new products (OK they were thinking comics but a good idea is a good idea where ever it comes from). Really the best, though not terribly practical answer) would be to put one of your product into the hands of the potential buyers. For comics, patterns and books a shop owner is much more likely to stock your product if they a can hold it in their hands and read it. They need to know it is of good production quality and well written. They would like to be able to see how it fits both their shop and their customers. As I said this isn't going to work on a large scale, but perhaps we can get closer to it. How about using online systems to allow customers to read part of a book (take a look on Cy's site to see the first chapter of Cancertown for example)? It seems like a good way to let people try a product before buying, and it is a lot easier, cheaper, and more environmentally friendly than printing and posting. Perhaps offering a printed extract or a sample pattern to shops interested in your work would be a good idea too? That's trickier because I know that I use different printing companies and processes for different products but I do aim for the same standard throughout so it might work. Maybe the time has come for wholesalers to make their catalogues electronic not printed. It would save them postage costs even if it were still posted as a CD is a lot cheaper to ship then paper. Having given it some thought a wholesaler could probably get a lot of their suppliers to enter information about their product into electronic forms with an automated process to produce formatted pages. You could end up with a whole page per product like many web stores. This would benefit all sides of the process, the suppliers can really explain why we want their product, the wholesaler would save on postage and printing and hopefully sell more and the shops can make a more informed decision. Anyone fancy grabbing the idea an running with it in either industry? If anyone would like a copy of Cancertown I do have a few to sell. I even have a very limited number signed by both the writer and the artist (thanks for letting me drag you to a dodgy looking carpark guys). Just send me an email and I will come up with a way of getting a copy to you. Failing that Cancertown is available on Amazon as well. Thanks for inviting us Cy and keep up the good work. I thought it was about time I offered some proof that I am still quilting. This is a large customer quilt, about 95" square I think. As it has quite a soft look we decided all over feathers would suit it well. It's come out with a really comforting look. i love this quilting pattern but I don't often use it on my own quilts. I think that is because I see it as delicate and a bit traditional so I don't think of it when I work on my quilts. Joker made it through her first weekends racing on one piece. Strangely it seems to have had a positive effect on her, she seems to be running better than ever. Can I claim racing is part of servicing your car? 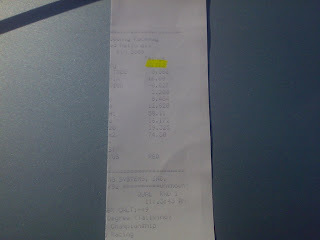 I am going to claim today's racing was good. We ran another 16 second pass with Tet on the brakes at the top end (finish line) to try and slow down. I say try as he still broke out (ran faster than he said he would) and lost the race. It's good from my point of view as it proves the first time wasn't just a fluke. I've heard that the Patchwork Corner section of the shop hop went well. I am sorry to have missed you guys, but I did have a prior engagement. I will pick up contact details on Wednesday then I can get in touch with people interested in my book. We haven't started taking pre-orders yet, but we will soon, and yes I will be announcing it here. Yes they will be available signed, yes there will be a discount for pre-orders, and no I don't know how much postage is yet. I think that covers the first round of questions. On the quilting front I am now pretty much booked up for customer work before the NEC show in August. I have a very few emergency slots left. As I mentioned before I am offering a discount to people who book a quilt in now to be done later in the year. So if you have a quilt that isn't urgent this is your chance to get a bargain. I was thrilled last week to get a large box of hand dyed fabric in for the States. Buying online can be tricky, but this will be perfect for the project I bought it for. Sadly as with so much I am doing at the moment I can't show you yet (yes I does upset me to not be able to share) but I am sure it will be worth the wait. 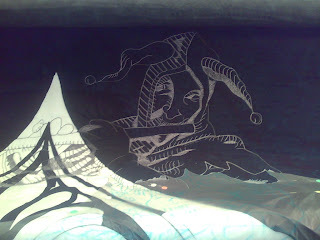 I'm finding with several of the projects I am working on now fabrics are hard to find. I've had to massively expand my range of greens as two of the projects need them. One wants lots of mucky dull green and the other wants all the bright leaf greens. It's strange after years of avoiding it to now be actively seeking green. I guess I aught to think about doing some work while I wait for Trogdor to be delivered (he is going to a garage on a lorry) then I will need to think about retrieving Tet. I'm sorry but when I get Jokers on track photos I will have to bore you with them, proud mother syndrome :) I can't tell you how chuffed I am that she ran two 16second passes and didn't piddle on the track at all. Well I think it was good. OK it was a break out, but it's a good time and I am thrilled. That's it for today. Hopefully we will get a clear day tomorrow. So, it looks like Joker is getting the idea. We are getting progressively quicker, and less smokey. It's also given me a chance to check how acurate my speedo is. Surprisingly, it's pretty good. For a car nut this is an important moment. It's under 20 seconds which makes me feel better, but she should be able to do nearer 16 seconds. We will be looking to improve. At least she got from one end to the other without dropping anything on the track. Yesterday was bad. Today isn't looking good. Wish Joker luck in her debut. 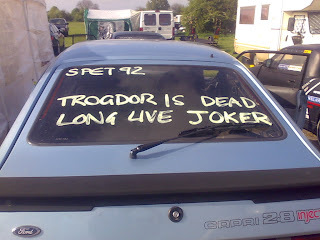 Trogdor will be needing a new engine, anyone got a spare big block?